Succulent Lamb with sticky jam all inside toasted Turkish bread! YUM! An award-winning combo if I do say so myself. Served with chips or wedges, and you have a happy customer right there. Sauté onions with a little oil in a pan. Once just coloured add in KNORR Thai Sweet Chili Jam, sugar and white wine. Stir through and simmer until thick. Remove from heat and stir through mint. Grill lamb steaks until medium rare and set aside to rest. 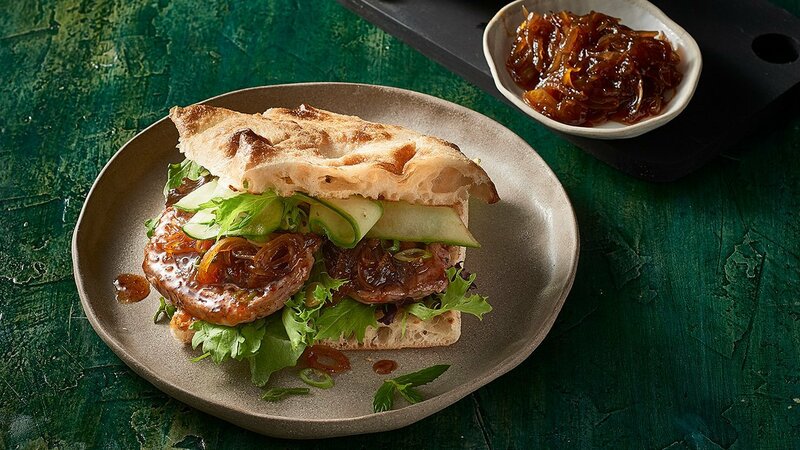 Toast Turkish buns and load with mixed leaf, then lamb, jam and cucumber ribbons. Top with the lid and serve.